"The wine is old but it doesn't taste better." 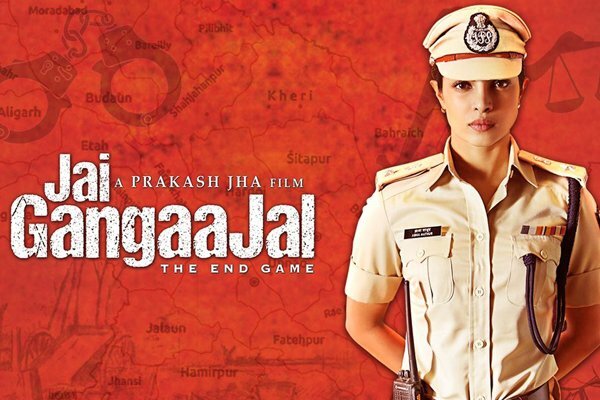 It is unfortunate, rather sad, that this film contains the name of and is considered a sequal to an immensely greater film 'Gangaajal'. There are stark similarities between the two and yet, this one is nothing but a failed rip-off of the original. When you watch 'Jai Gangaajal', you cannot help but remember similar scenes from the first movie and you wonder how enthralling they were. Inadvertently, you compare them and you find that the one folding before you right then is a tomfoolery. "The movie suffers because the makers lack belief in the theme"
I am perplexed at the superficiality with which few films are revered just because they have an underlying liberal or modern view of the society at large. Such themes, although important on a social basis, are those that mar the objective discourse of a movie and throw you into vicarious yet peripheral emotions. Aligarh is a victim of this very flaw- both in filmmaking and the subsequent reception.